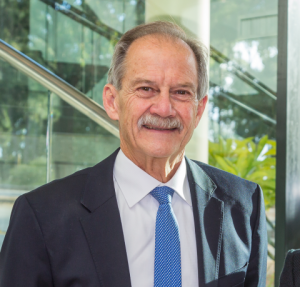 WAHTN board member, Professor Peter Klinken has been recognised with the nation’s highest honour, Companion in the Order of Australia (AC) in the general division of the order of Australia for his eminent service to medical research, biochemistry and to the community. This distinguished award celebrates Professor Klinken for his seminal work in cancer, genetics and biochemistry; in addition to his dedication and longstanding advocacy of science and medical research. Professor Klinken has been an integral part of the success of the WAHTN through his capacity as Chief Scientist of WA. Professor Klinken was the only West Australian to receive this award on the Queen’s Birthday, 12th June, 2017. 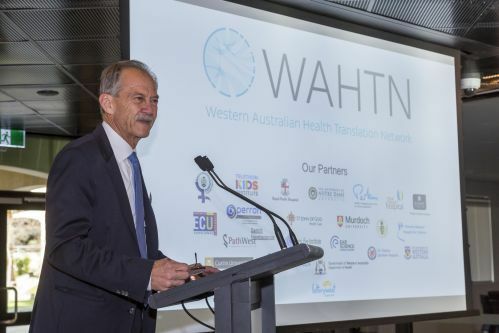 Amid the excitement, his allegiance to the WAHTN was evident; serving as the Master of Ceremonies at the WAHTN accreditation event hosted by Murdoch University. In addition to his contributions in science, medicine and innovation, Peter continues to successfully engage the community and increase public appreciation of medical research. His attitude of, “Team WA” epitomises what is at the core of the WAHTN.